Trios Sports Club ran our own Bingo sessions twice a week with numbers averaging around the twenty five mark. I had worked with Katz entertainment in the past and have found them to be very responsive if we had any concerns. 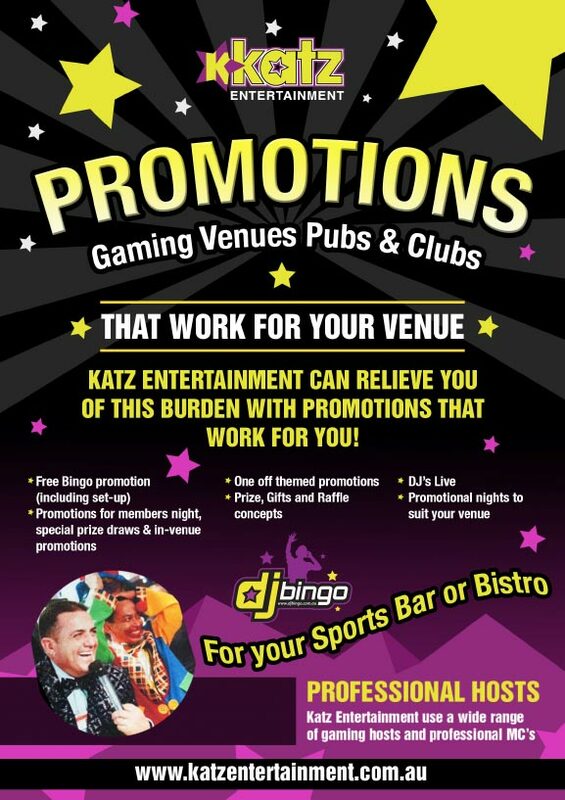 In September of 2017 we introduced Katz Entertainment into the club offering FREE bingo to our clientele on Monday day and Thursday evening We have seen number consistently around the 80 to 90 mark for these two sessions. A month later we introduced bingo on Sunday afternoon which past our expectations and are seeing consistent numbers each week. In march of 2018 we put bingo on Tuesday evening also. We now run bingo at our club 4 days a week and are extremely happy with the numbers at this present stage to continue. I have no hesitation in recommending Katz Entertainment to any venue that are not in competition with our club. Had Katz control the entertainment at a number of my corporate and private functions. First class outfit that delivered!